How often do you talk to someone at work and they are bragging about their wonderful dinner of grilled cheese and soup they had last night? Some of you may hear it and I have a few friends that love to cook but mostly I hear about where everyone goes out to eat. We do go out to eat every now and then this last weekend my husband and I went to one of our favorite hamburger places that serves sweet potato fries I love them and you dip them in this special butter and my husband even said we totally need to break the deep fryer out but our baked sweet potato fries are great too we were just caught up in the moment! Because of the ease of eating out but is it really that easy first you have to get in your car and go somewhere and then you have to spend your money in gas to get there and then quite often you have to wait and then sometimes the service isn’t even all that good but sometimes its just great and no dishes the temptation is great! So what was Alice Brady cooking in the kitchen with Mrs. Brady a very unrealistic portrayal of the American household. I guess it all depends on what you consider a dinner classic. I consider eggs and bacon a classic personally. What do you consider a dinner classic? I don’t mean fancy or “fru fru” I am talking about those daily grind meals when you are exhausted and you want to feed your family a healthy wholesome nutritious meal! The next time you are just flat-out exhausted try to muster up the strength to put together something that isn’t fast food but slower food. One of my faves is beefaroni and one of my recipes which is so simple is just…noodles, tomato sauce I canned over the summer, hamburger or turkey burger and some italian seasoning. A one pot dish wonder! Happy Friday All! I am so happy this weekend is St. Patrick’s Day Weekend its one of my faves! We have beautiful weather in Coastal North Carolina this weekend! 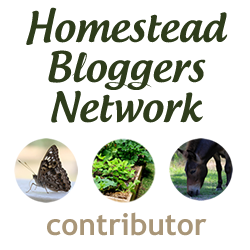 Welcome to all of my new blog followers! I have been running around like crazy getting ready for our Technology Fair at work and now that it’s over you know I will be taking pictures in the garden this weekend so stay tuned………. Fave dish? Hmm, the risotto we had this evening was pretty good. Grated cheese on top and a side serving of steamed kale sprouts. Delicious! Have a great St. Patrick’s Day! Bridget that sounds amazing! Happy St. Patrick’s Day to you my Irish friend! Gulasz (the Polish name for goulash) is what I know from the list your wrote down. I grew up eating it very often. Few days ago I made bbq pulled chicken in my slow cooker and it was amazing. I think, it was my first dish using slow cooker when everybody loves it. Those sound absolutely amazing! Thanks for sharing the link I love stuffed cabbage but often don’t make it because its so time consuming! See you soon! Ham steak, macaroni and cheese and green beans. Salad or fruit. Roast Beef, potatoes boiled and then dropped in the pan with the beef to finish up along with carrots, gravy. Shepherds pie (using left over roast) with a mashed potato crust. Spaghetti and meat sauce with a side salad and garlic bread. Fried pork chops with various vegetables and a salad or applesauce. Fried chicken (room temp or cold). We ate out on special occasions when I was a kid. We rarely go anywhere now, too far to drive into town. If we do, it’s a little diner or a pizza. Kathy I forgot about roast beef that was one my Mom made a lot….did you all have it in the crockpot or in the roasting pan? Macaroni and Cheese the ultimate classic…….yes we too could almost tell the day of the week depending on the meal! Thanks for commenting! Roasting pan. I don’t know if Mom had a crock pot. I prefer it in the crock pot because it’s more tender. Kathy my Mom loved using her crock pot and that was before they had all the different fancy timers and such! We also love grilled cheese. I love it on big thick homeade bread, with yummy cheese and I like to add tomato and avacado to mine. My girls like theirs just plain cheese and my husband dips his in salsa… Whatever works I guess. Rachel grilled cheese is just one of those go to meals! My kids dip theirs in homemade ranch sauce but I think I would love salsa! Thanks so much for visiting! This is funny. I actually JUST made grilled cheese and soup last night. What made it so divine is that the soup was homemade chicken soup and the sandwich was on my homemade whole wheat bread. Delish! Oh—I forgot my classic dinner. Mine is beans and rice. I home can my beans and use my late grandmother’s recipe for spanish rice. If I’m feeling a bit more ambitious, I’ll make some tortillas by hand too. Yum! My mom makes something called glop and it is awesome. hamburger, cheese, noodle, and enything else you want to throw in there, lol. But it does have sour cream too. I like to make a tatertot casserole. easy peasy. 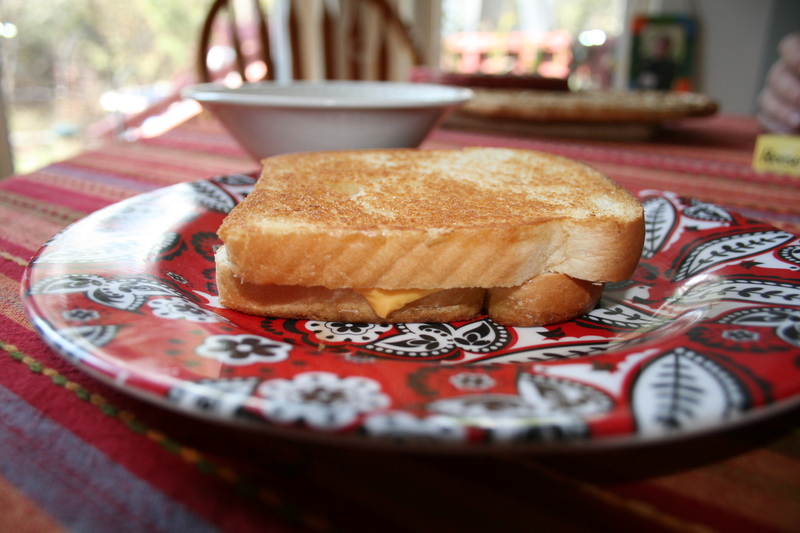 I love Grilled cheese on Italian bread…Yum! I loved this article. I think you stumped me on what a dinner classic is– you mentioned a ton that we eat already. I could eat a grilled cheese and tomato soup just about any time. Someone mentioned Goulash! one of my favorites. I think for a quick dinner at home– we (the husband and myself) like a quick boneless skinless chicken breast cooked on the *george forman TYPE grill with a piece of bacon and tomato on toast! For that matter we could just eat a hot ham and cheese sandwich and some chips. Pat I realize after I posted I forgot a lot of good classics…..what about BLT’s??? I didn’t mention those and I agree with you a chicken breast on the grill might not be a 70’s classic but it is definitely a classic now! And you don’t even need to make it a huge meal sometimes we will serve a chicken breast with just some kale and applesauce and don’t even get me started on hot ham and cheese sandwiches…now I am getting hungry again 🙂 good to see you Pat! Hi there! Hmmm, dinner classics? I remember some of those from the 70’s…! We have a couple dinner classics. One of them is Taco Tuesday. We fry up corn torteas ( no crunchy packaged shells ) r use flour torteas. For filling we use organic hamburger meat, organic chicken, re fried or pinto beans and rice with cheese, salsa tomatoes, guacamole., sour cream, chopped onion and some shredded lettuce! Takes about half an hour and our teens love this supper! Cool post! Thanks for sharing it with us! Debbie we had tacos quite often in the summer that’s a great one to add to our list! Thanks for stopping in! I just thought of another one! We had it tonight in fact! It’s perfect for an evening after spending all day outside working.. Steak Tip Cesar Salad.. Prep time under 30 minutes! Cut steak strips into bite sized chunks and grill on the stove top in a cast iron skillet…cut and wash one large head of romaine lettuce. Drain and add to a large bowl. Sprinkle parmesian cheese and cracked black pepper on top. Add your favorite crunchy crutons… and Organic Ceaser dressing. Toss Salad fixin’s together. Place in a bowl or on a plate…and add steak tips. Yum!